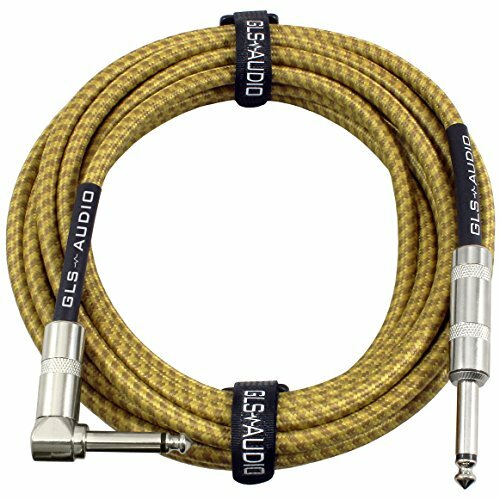 Audio cables: Where to start? Audio is a complicated science. Some take it a little more lightly than others, but we are all looking for the best Sound Quality possible. I have friends who just want to know the best Bluetooth speaker for the beach, and other friends that wont consider listening to anything if it is not on vinyl! What first comes to mind when you think about Audio and Sound Quality? Speakers, MP3, Vinyl, headphones… These are all key elements when it comes to having good audio. But what about cables? Audio needs to go from point A to point B somehow! Either from your phone to your car, from your Playstation to your TV, from your computer to speakers… No one really cares how the audio gets there, all we want is for it to sound amazing! We usually blame our speakers or the MP3 file for our poor audio quality. But what cable are you using? Or perhaps you are using Bluetooth? What if you want to build your own Home recording Studio or Home Theater? Where to start?! You can buy the best speakers in the world but if you are running your audio through a noisy, unbalanced audio cable, well… needless to say you will blame the speakers anyway! Lets change those bad habits of ours and perfect our everyday sound quality by learning a little more about our poor little black cables. Home Studio or Home Theater? These are two very different setups! If you are setting up a home studio you will need a variety of different audio cables (recording guitars, microphones, record player…). Different factors come into account when setting up a home studio or home theater. How long will the cables be? For a home theater you will need longer cables than a studio! How far away is that right speaker in your surround sound setup? You better measure! We need to change our way of looking at audio cables. Our first instinct is to look behind our speakers and see what cables we need and what we are used to! Every one knows the famous “Headphone Jack” but is that really the most appropriate cable for your set up? Simple… the cable contains the wires while the connector is the tip of the cable. This might sound like a useless definition but Audio Cables have different cables with different connectors. You will need to now what cable to use and what connector to use. This is the thickness of your cable. Thick wire (12 or 14 gauge) is recommended for long wire runs and high power applications (such as live shows, movie theater…). For relatively short runs (less than 50 feet), 16 gauge wire will usually do just fine. It’s cost-effective and easy to work with. Analog: work by transmitting information through stream of electricity. Digital: work by transmitting information through a long string of 1’s and 0’s (aka binary code). In many cases, digital gear uses cables that resemble their analog XLR or RCA counterparts. 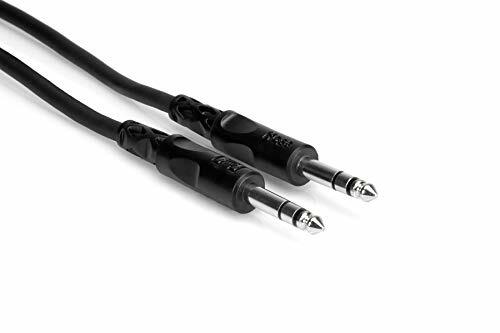 While these connectors may look the same, the cables are often designed for different resistances, and are not interchangeable with their analog look-alikes. But we will get into more detail about this later on. These are two very import terms for any Audio Cable cable!… That’s right the cable, not the connector. You will see them on every cable packaging and if you don’t know what it means you might be surprised by the result! You don’t need a masters degree in electronics to understand which audio cable is better and for what; but we will break the science behind these terms to give you a better understanding. Unbalanced: Unbalanced cables have two conductor wires: a hot wire that carries the signal, and a common ground wire that is connected to an insulated wrap. Audio cables use electricity to go from one point to the next. Very low amount of electricity, so low that it can pick up any interference (radio signals, electromagnetic fields…). That interference is audible as a low hum or a buzz called “Noise”. And in some cases, you can even pick up the local radio station on your guitar amp! The ground wire is used to diminish the amount of noise. The longer your cable, the more chances you have to pick up noise on the way. The length should ideally be kept under 25 feet. 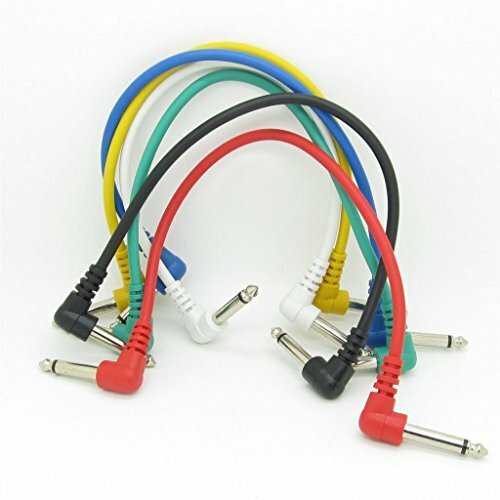 Unbalanced cables are typically used for Instruments (guitar, bass, keyboard…). Balanced: To reduce noise, balanced cables add a second signal conductor, referred to as the cold or negative conductor. Both conductors transmit identical signals that are 180-degrees out of phase with each other. As the signal voltage in the hot wire increases, the cold wire’s signal voltage decreases, precisely mirroring the hot signal in reverse. Any noise that is common to both lines will be out of phase with itself, and through a process called “common mode rejection”, is eliminated. Pretty cool science! While in a few cases balanced and unbalanced cables are interchangeable, the devices you’re connecting will often determine which type is needed. Microphones for example usually require balanced cables as do D.I (Direct Injection) Boxes that allow direct connection of an instrument or other line-level device to a mixing board or recorder. When you need longer cable runs, balanced cables help ensure a noise-free signal. Now that you know a little more about the terms and science behind audio cables lets start talking gear! Ultimately, you want cables that are flexible, durable, and that have quality hardware and well-soldered connections. You want to buy cables that are sufficient in length, but not excessively long, as the longer a cable is, the more susceptible it is to noise and signal degradation. 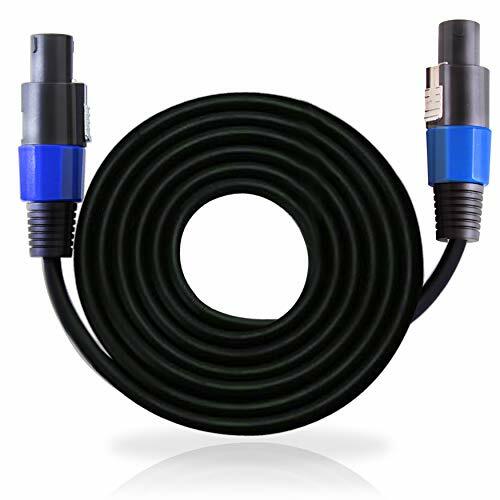 An instrument cable connects a guitar, bass, keyboard, or other electronic instrument to an amplifier or preamp that’s intended for direct connection of an instrument. Easy! To make things easier, check the cables you have at home and you will find “Instrument Cable” printed on the cable. Instrument cables are designed to carry low-voltage instrument signals, and most often have 1/4″ phone plug connectors, But we will discuss about connectors a little later… Also you must be aware that most instrument cables are Unbalanced. So, as mentioned before (check the definition of Unbalanced) when deciding how long a cable to buy, keep in mind that longer cable runs are more prone to picking up interference and noise. If you are a guitarist, you are well aware of that horrible buzz you might hear in your amplifier while doing a live show! This is caused by all the electromagnet fields generated by the lighting, the amplifiers and all those power cables running everywhere! Will discuss a bit further on how to transform an unbalanced signal to a balanced signal using a DI (direct Injection) Box. The term “patch cable” describes any cable that links various components together. They often are quite short in length and are mostly used to connect guitar pedals together or patching analog synthesizers. Patch cables can be balanced or unbalanced and have a variety of different connectors. Typical patch cables with 1/4” TS connector used for connecting guitar pedals together. 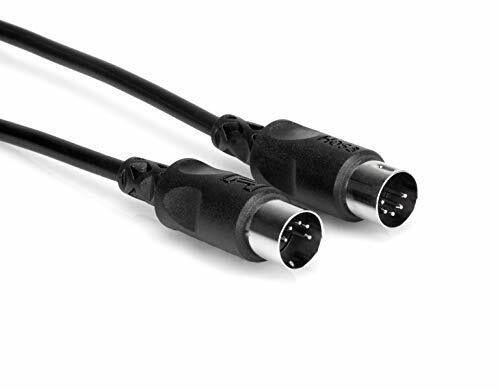 Mic cables are shielded, balanced and typically have an XLR male connector on one end and an XLR female connector on the other. If you are not sure what XLR cable you have, you will always find “Microphone Cable” written on the cable. 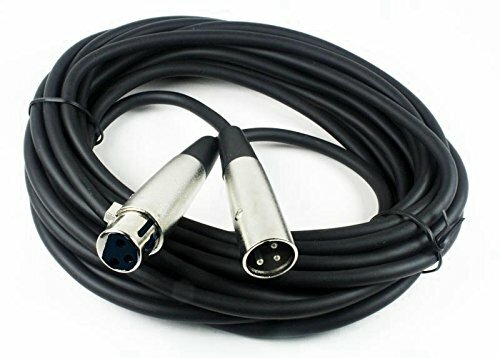 In addition to connecting a microphone to a sound system, mic cables are often used as longer, balanced patch cables, for example connecting a mixing board to powered speakers. They can also be used for lighting effects with DMX control capabilities, but that will be for another time! Here is a typical XLR Microphone cable. A speaker cable is an unbalanced cable, and usually has a much heavier gauge conductor than a patch, instrument, or mic cable. Speaker cables need bigger wires because they carry much higher current. 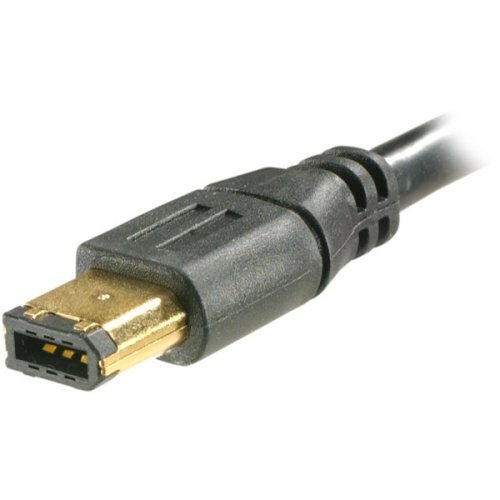 Speaker cables can be found with many different connectors, currently popular are the SpeakOn and 1/4” TS connector. SpeakOn is just a fancy connector that lets you have a snap and locking connector instead of having to wind speaker wire around posts, it’s great for hooking up subwoofers. Here is your typical SpeakOn Cable. So we will break down some of the most common digital cables and their connectors. Musical Instrument Digital Interface cables allow electronic instruments to communicate with peripheral devices. They don’t transmit actual audio, but by signaling every aspect of a musical performance (the note, how long it is held, the velocity of the attack…). MIDI cables can also communicate control functions between software and hardware, so you can control sound and tones with a remote control surface. MIDI cables are most commonly used in Recording studios. On most synthesizers you will find a MIDI in and MIDI out, same goes for most sound cards. MIDI in is used to receive information and Midi out is used to transmit information. It is a one way signal. USB (Universal Serial Bus) cables have become standard for connecting everything from printers to digital audio gear. USB cables have Type A, Type B, Mini-A, Micro-A, Mini-B, Micro-B, or Type C connectors at one end, and a device-specific connector at the other. USB cables can also be used as a power source for some devices. The latest version, is significantly faster than before and can make a huge difference in minimizing latencies during performances and studio playback if you have a complex setup. FireWire is really common in Recording Studios! It used to be that FireWire was the fastest thing you could use to hookup your audio interface, but since USB 2.0/3.0 there is not much of a speed advantage to using FireWire anymore. Even so, you will still often find FireWire connections in the studio and it is still quite popular. Here is your typical FireWire cable. 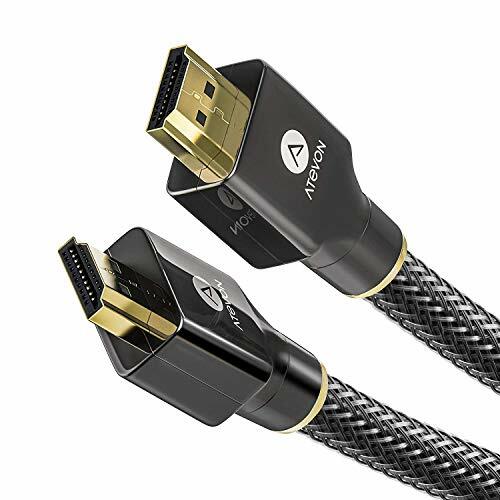 HDMI (High-Definition Multimedia Interface) has become the standard for connecting consumer and home theater electronics such as AVRs, DVD players, and Blu-Ray players to televisions. Its ability to transfer uncompressed video AND audio signals has led to its adoption in pro audio gear. There are five connector types (Type A through Type E) each with unique pin configurations. Check your equipment to see which type is better for you. Know is the fun part! Lets talk about all the different type of connectors you can find for your analog audio cable! It really isn’t complicated, since the decision will be made for you depending on what audio device you are using. TS stands for “Tip, Sleeve” connectors. Available in ¼” and ⅛” configurations they have two conductors for unbalanced operation and are used with patch, instrument, and speaker cables. There is one insulator ring between the tip, where the hot wire connects, and the sleeve, where the ground connects. TS connectors are often referred to as “quarter-inch connectors” (referring to the diameter of the sleeve) or “phone jacks” (because they were originally developed for telephone switchboards). TS cables may also be referred to as “guitar cables” or “line-level instrument cables.”. A “Tip, Ring, Sleeve” connector looks like a standard TS connector, but has an additional segment on the shaft called the “ring.” This design allows the connection of two wires, plus a ground (again, usually a shield). These are used for balanced cables, stereo, and as a single connector that handles incoming and outgoing signals. You can find them as 1/4”and 1/8’ (your typical headphone jack or auxiliary cord in your car). But be careful, don’t get confused between a balanced mono TRS connector and a unbalanced stereo TRS connector! They use the same connector, but are different line signals. Also, you won’t see a balanced stereo TRS connector, it is going to be one or the other. You can easily recognize a TRS connector from a TS connector by counting the number or lines you see. A TRS cable will have two lines separating the three segments (Tip, Ring, Sleeve) while a standard TS cable has only one line separating the two segments (Tip and sleeve). “RCA” is derived from the Radio Corporation of America, the company that introduced the design in the 1940s. 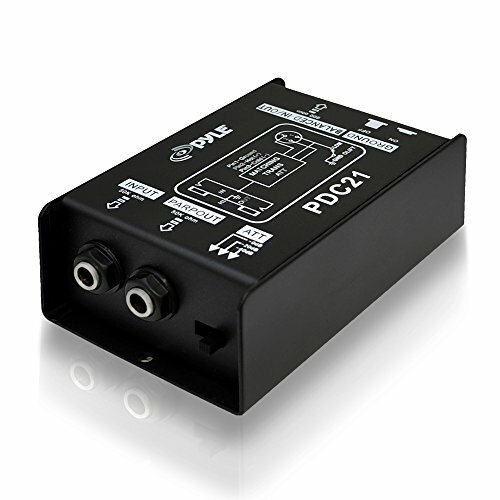 RCA connectors are also sometimes referred to as “phono connectors” since they’re the primary cable used to connect turntables. Typical RCA cable with on the other end an 1/8” TRS connector. 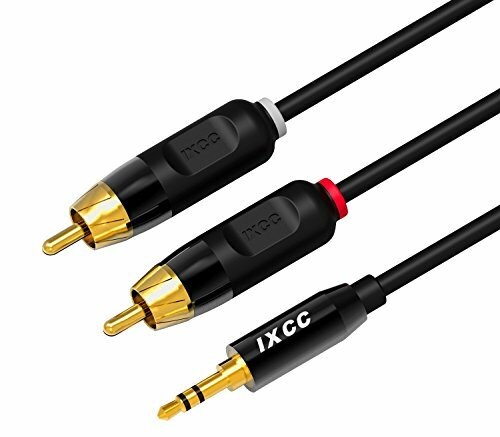 RCA connectors are most commonly used on stereo equipment. In PA systems they’re often used to connect a stereo CD player or other consumer electronics devices to the mixing board. They usually consist of a pair of wires molded together with separate ends color coded for left and right channel in stereo devices. They’re also used with the aux and tape inputs and outputs. Some mixers also have RCA outputs for connecting to a recording device. 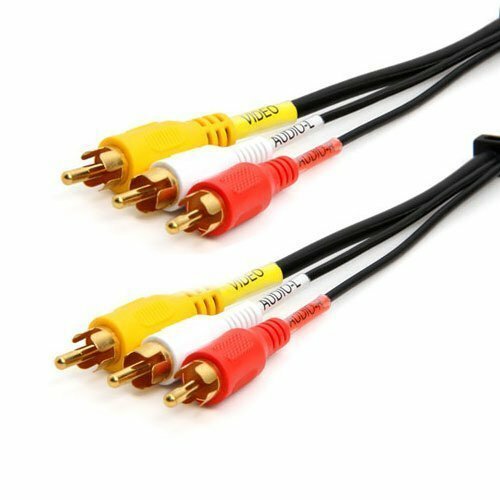 You can also find RCA cables with an extra Yellow RCA connector to transmit video. These are found in the back of every TV in order to connect your gaming console, DVD player or speakers. Male and female XLR connectors. Banana plugs are two-pronged connectors used to securely connect audio wires to amps, speakers, and other audio gear. Wires that terminate in banana connectors are held in place by locking screws instead of being soldered, which allows simple, fast repairs when needed. If you were paying attention you might have noticed that the TRS connector is the same as your headphones! As I have mentioned above, be careful to not confuse yourself between a stereo TRS (headphone jack) and a balanced TRS cable. They might look exactly the same but their function is entirely different! If you use a balanced TRS cable in your car to connect your phone, you will not hear the same thing. A TRS connector has three contact points (Tip, Ring and Sleeve). Each contact point is connected to a specific wire inside the cable. Balanced TRS: The Tip is used for the positive, the Ring for the negative and the Sleeve for the ground. This is how a balanced cable can cancel out any noise or interference picked up along the cable run. A Balanced Cable is composed of three wires; two wires conduct the exact same signal but their phases are flipped while the third wire is a ground wire. The signal is still monophonic, not stereo (a guitar signal for example). Stereo TRS: The Tip is used for the Left channel, the Ring is used for the Right channel and the Sleeve is used for the ground. So two entirely different signals are being transmitted. As for the balanced TRS the same signal is transmitted but their polarities are flipped. See the difference? A stereo TRS is still unbalanced which means it will still pick up interference and noise along the cable. While a Balanced TRS will only transmit a monophonic signal. Which is why, for a higher quality audio you will see two Balanced TRS cables in order to obtain a Stereo signal. One for the Right channel and another for the Left channel. I have been pretty negative about Unbalanced cables, so why even use them? Well some instruments and some configurations wont allow you to use Balanced cables… No worries there is a solution! A DI (Direct Injection) Box will allow you to convert that unbalanced signal to a balanced signal. This is a common problem for guitarist especially. If you do a live show and need more than 20 feet of cable, you will start picking up interference. You never wondered why your amp is buzzing on stage when in rehearsal there is no issue? Your using the same cable, the same guitar, the same pedals… Well the setting is different! Your amp and your cables will pick up more noise! It’s not your fault! This is why most sound engineers will ask you to plug your guitar into this DI box in order to clean up your signal. So if this is a regular problem for you, it will be a wise choice to invest in a DI box for your future shows. Here is a common DI Box. 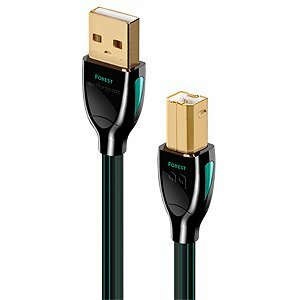 How to judge if a cable is good or bad quality? Why is there such a difference in price between cables? Is that real gold! ?… Lets dive a little deeper in Cable Quality in order for you to make the right purchase! The basic purpose of a cable is to move an electrical signal from one component to another without degrading the signal significantly or introducing noise. There are expensive, audiophile-quality cables that are designed to keep the signal pristine and noise-free. Most musicians do not need quite this level of cable performance for their stage gear, but still, you want cables of high quality. Quality cables will deliver better sound, and if you sound better, you’ll play better! For Recording Studio or even Home Studio owners, audiophile-level quality is more important. Noise-free transmission of signals is essential to high-quality recording, mixing, and mastering work. Other “quality” features, such as gold-plated connectors and oxygen-free copper wire, are not necessarily important. Gold-plating may lessen resistance, but is more subject to wear than nickel-plating, so it may be a liability on connectors that are plugged and unplugged a lot. 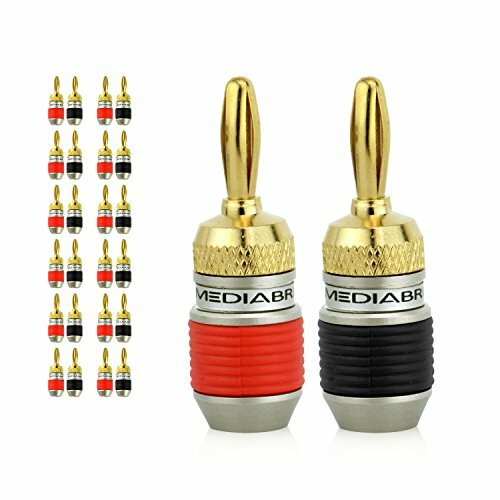 So if you are a musician, a beautiful golden connector is not the best choice. Mainly you want cables that are flexible, durable, and that have quality hardware and well-soldered connections. Other desirable features include epoxy potted or hot glue connectors (filled with one substance or the other to prevent the wire ends from moving). Heat-shrunk plastic sleeves around wires and terminals help prevent wires from moving. These features are especially valuable on instrument cables that get pulled, stepped on, and plugged and unplugged frequently. In other words, cables don’t last forever, but good ones last longer. Here are some terms that you need to look for while purchasing your cables. All audio cables with the exception of speaker wires and optical cables are shielded to protect the signal from interference that causes noise. The shielding is most often a wire braid that surrounds the cable. The purpose of shielding is to protect the signal from sources of noise, such as radio transmissions, AC power cords, fluorescent lighting, rheostat dimmers, and some appliances. When you hear radio chatter through your amp, it usually means that the shielding around your amp’s gain components is inadequate, but your instrument cable’s shielding can also be the problem. So having cables with good shielding is a must! Braided Shield: The most common is the braided shield. Small wire strands are braided to form a sheath around the insulation of the signal-conducting wire. Sounds complicated but it isn’t! This type of shielding is flexible and durable. Onstage mic and instrument cables are constantly being bent, pulled, and stepped on, and braided shielding holds up best under these conditions. Serve or Spiral-Wrapped Shield : This sheath is formed by wrapping a flat strip of wire strands around the center wires in a spiral. The serve shield, while it lacks the tensile strength of a braided shield, is more flexible than a braided shield because it stretches when the cable is bent. It is less resistant to radio frequency (RF) interference, but It is also easier to manufacture these cables so they are usually less expensive. Foil Shield: The foil shield is a Mylar-backed aluminum tube that terminates at a copper drain wire. It provides 100% coverage, but since aluminum is a poor conductor of electricity, it also interferes with signal transfer. Foil shielding is inexpensive and easy to make, but it is also fragile and breaks down easily with repeated flexing. It is best used in small patch cables and stereo cables that don’t move much once they are connected. You don’t need to know the exact science behind each shield type, but is good to be aware of the names so you can make a wise decision while purchasing your future cables. All of the above are just general information on audio cables, they apply for professional recording studios to your small home theater. But there is some extra information you need to know about Home Theater setups that aren’t as import for recording studios. We have talked about this all through this article! The longer the cable, the more interference and noise you will hear through your speakers. this is even more important in a surround sound setting of a Home Theater! Older home theater setups use RCA or Banana plug connectors with long cable runs through the ceiling and the walls. Actually, even today it is still pretty common. Most RCA cables have a thin gauge (usually 24). Let me quickly explain why this is an issue. Every cable has inherent resistance. Since we’re talking about resistance to the flow of electricity, it feels a little backwards. The thinner the cable, the more resistance the cable will have. There are other factors as well, but this is the big one. The more resistance a cable has, the more it will affect the frequency response which is possible at the end of the cable run. The reason this is related is because the load the amplifier has to deal with when driving a pair of speakers, changes with frequency. So if you add more resistance with cables that are too thin, you can actually change the sound, particularly at higher frequencies. 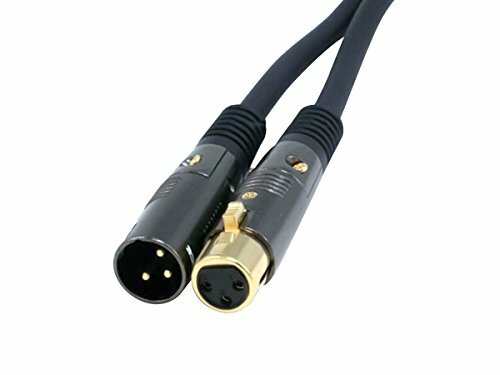 A good rule of thumb when hooking up a home theater system is that 16 gauge cable will work in just about any in-room situation, but if your runs are going to be over 40-50 feet in length, 12 gauge cable will further drop your resistance and keep your cables from becoming equalizers for your sound. Welcome in 2019! This entire article is about audio cables and all the science behind it… a little overwhelming for some! Rather than figuring out how much cable you need to go from your TV to your speakers, what gauge the cable should be, how to drive cable through your wall or ceiling, how to power the big subwoofer under your couch… what about a soundbar and Bluetooth speakers? My personal “Home Theater” is set up with a soundbar and Bluetooth speakers! Amazing! Sound is very important for me as a music producer! I would never use Bluetooth speakers in my studio due to the latency. But for my home theater set up it works just fine! My soundbar is connected to my TV via Bluetooth, the subwoofer under my couch is connected via Bluetooth and the extra speakers are connected via RCA to my subwoofer. Obviously it wont be as “surround” as a real surround sound set up will be! But we are talking about my living room… Dogs barking outside, the wind, planes, cars! Why invest so much time, money and energy into installing the best surround sound if your room isn’t even Acoustically treated. This goes without saying… Audio cables are just the tip of the “Sound Quality Iceberg”! Acoustic Treatment of your room, purchasing reflector panels, bass traps for the corners, high quality speakers, positioning those speakers correctly… everything comes to account when we talk about sound quality! It is important to know what you are doing when it comes to sound. So knowing your cables and what would work best for your situation is a great step! Have fun with it! You also might have hearing problems from all those crazy parties you did in college… Should have invested in ear plugs!